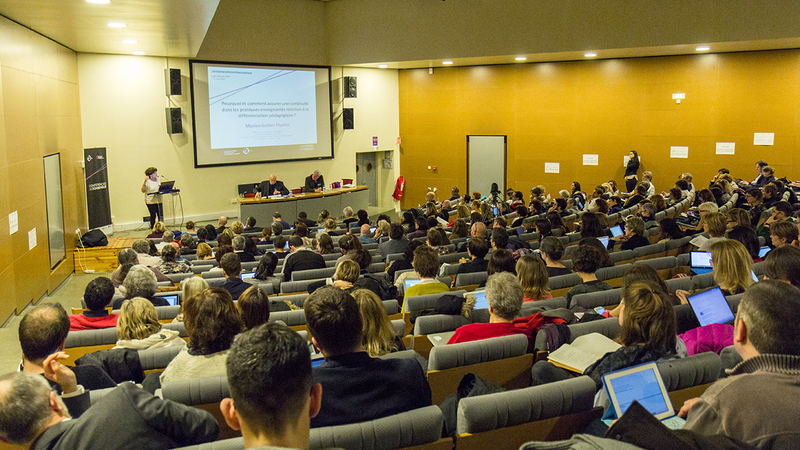 Cnesco and Ifé / ENS de Lyon organised a consensus conference entitled: “Differentiated instruction: how can teaching be adapted for the success of all students?” (March 2017). No student learns in the same way or at the same pace as another, but everyone must master common core knowledge and skills. To meet this challenge, there is no magic educational recipe that has already been prepared and that can be applied to all teachers, students and subject areas. The concept of differenciated instruction hides a multiplicity of practices and relevant arrangements for handling heterogeneity in classrooms. But the consensus conference did show that certain conditions must absolutely be met in order for all students to learn. In France, 22% of teachers in secondary schools say they employ differentiated instruction compared with an average of 44% among all participating countries to the TALIS survey (2013). In France, 37% of teachers in secondary schools say they have co-taught at least once, compared with an average of 58% among all countries that participated in TALIS (2013). 15% of French CM1 teachers report having participated “more than once in continuing education on the topic of the management of individual student needs over the last two years” compared with an average of 42% among countries participating in the TIMSS survey (2015). If the video does not play correctly, please click here.